CAREER: Samaroo grew up in the village of Surrey, Lopinot, an environment that had a long-standing tradition of 'parang' music: yuletide singing with a Spanish twist to the accompaniment of guitars and cuatros. 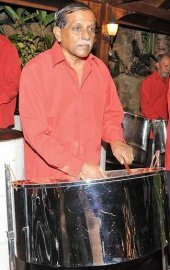 He began his steelband career at the age of 10 with the local Village Boys where he learned to play the tenor-pan and, at 14, he joined the Camboulay Steelband in Tunapuna where he later began arranging. He learned to read music as a young man and enhanced his knowledge under the guidance of Dr. Gordon Maliphant, former head of the Citrus Research Unit, University of the West Indies at St. Augustine. 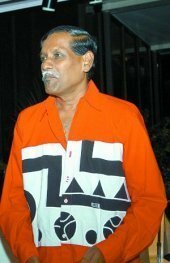 After teaching his four brothers and three sisters to play, he formed a family steelband, the Samaroo Jets, in 1967 with pans tuned by Bertrand Kellman of the Renegades Steelband. The Samaroo Jets went on to tour North America, South America, Asia, Europe, and the Caribbean. 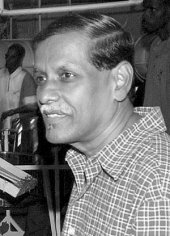 DIED: January 6, 2016, at home in D'Abadie, Trinidad, after a long struggle with Alzheimer's disease.